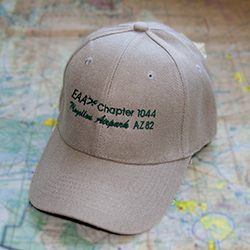 Orders are being taken for EAA Chapter 1044 hats now in stock and available in limited quantities. You may choose from either green with tan embroidery (sorry, sold out) or tan with green embroidery. Cost is $10. If you would like to reserve yours, please fill out the form below. 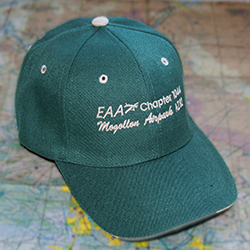 Hats maybe be picked up at the next Chapter Gathering or by contacting us at eaa1044@gmail.com. Thank you. Please click on image to choose color.